More than yoga can deliver alone, a medical professional is able to evaluate, diagnose, and prescribe yoga as medicine. Licensed medical professionals, for this reason, are ideally suited to deliver yoga as medicine. The PYT Certification Program merges yoga with evidence-based practice in medicine and rehabilitation. Facilitating multi-disciplinary education – RN, FNP, MD, PA – all of these disciplines have studied in the program side by side with PT, PTA, OT, COTA, ATC, MT, and other allied health care disciplines. Facilitating a team approach to health care – Historically, health care professions have had little multi-disciplinary education, which creates barriers to patients receiving the health care services they need. The PYT Program works to eliminate those barriers to health care, through establishing an inter-disciplinary dialogue and universal certification process that creates educational competencies for practicing yoga as medicine. Creating a Culturally Inclusive Method for Using Yoga as Medicine – Integrative medicine and conventional medicine join hands in this grassroots certification program. Clinicians study medical therapeutic yoga, prevention and management combining east/west medical modalities, wellness and health topics, and integrative/holistic nutrition. Evolving and Expanding hospital and clinical programs, as well as academic/university programs. The PYT Program works with hospital systems, private practices, and individual clinicians to help them set up integrative yoga programs in their community – whether cash-based, insurance-based, revenue-generating, or revenue-neutral. 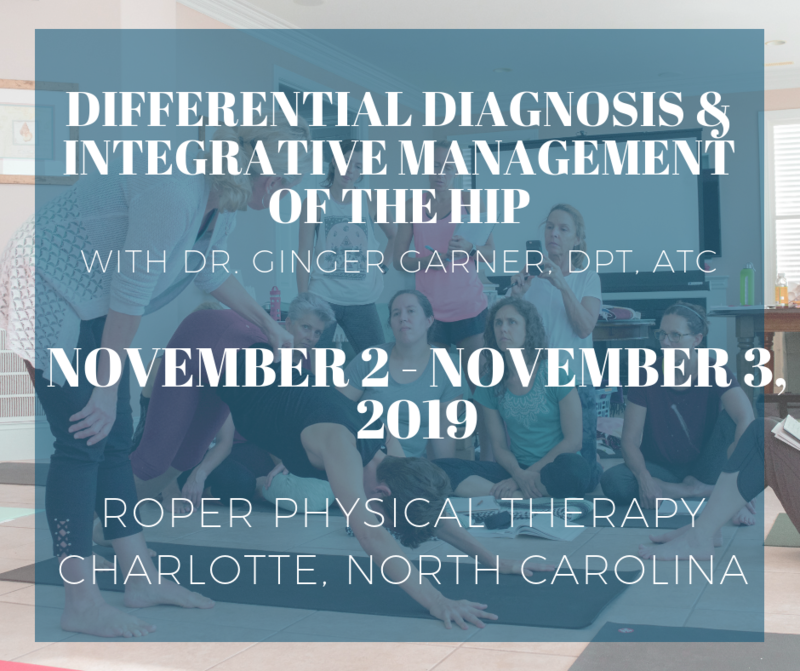 Most recently the PYT program has been adopted for use in doctoral level physical therapy curriculum at two US universities and one international university through Ginger’s pro bono efforts.